When you picture a typical American meal, chances are you see a big slice of meat in the center of the plate. From the Thanksgiving turkey to the Fourth of July cookout, the typical American diet is definitely heavy on meat. According to the U.S. Department of Agriculture, the average American eats 114 pounds per year of red meat, 67 pounds of poultry, and 15 pounds of fish. There are exceptions to this rule, however. According to a 2012 Gallup poll, about 5% of all Americans are vegetarians – people who consume no meat at all, or almost none. Vegetarians range from strict vegans, who eat no animal products of any kind, to “flexitarians,” who simply try to limit their meat intake as much as possible. Whatever the type, a vegetarian diet has its perks. Eating vegetarian is cheaper and more eco-friendly than the typical meat-heavy American diet, and there’s evidence it can improve your health as well. Ovo-Lacto. People who simply identify themselves as “vegetarians” without being more specific are usually ovo-lacto-vegetarians. This means that they eat eggs and dairy products, but no meat or fish. This is the most popular type of vegetarian diet. There are also ovo-vegetarians, who eat eggs but not dairy, and lacto-vegetarians, who consume dairy but not eggs. Vegan. A vegan diet is much stricter than an ovo-lacto-vegetarian diet. Vegans do not consume any animal products, including meat, fish, eggs, dairy, and animal by-products, such as gelatin. The strictest vegans won’t eat honey, use beeswax, or wear clothing made from animal-based materials, such as leather, wool, and silk. Raw Vegan. Raw vegans are a subclass of vegans who follow an even more rigid set of rules. In addition to avoiding all animal products, they won’t eat any cooked food. Some raw vegans believe that cooking damages the nutrients in food, while others consider it more wholesome to eat food raw. Raw vegans do eat food that has been processed in other ways, such as juices and smoothies, sprouted grains and legumes, dried fruits, plant oils, and nut butters. Pescetarian. Pescetarians (sometimes called pesco-vegetarians) are people who avoid meat but eat fish and shellfish. The Vegetarian Society, an organization that promotes the vegetarian lifestyle, emphasizes that pescetarians are not true vegetarians. However, many fish-eaters find it easier to identify themselves as vegetarians because the term pescetarian isn’t familiar to many people. Flexitarian. Flexitarians, also known as semi-vegetarians, are people who eat a plant-based diet but don’t avoid meat completely. Types of flexitarians include pescetarians and pollotarians, or pollo-vegetarians, who eat poultry but not red meat or fish. Other flexitarians are “ethical omnivores,” who eat animal products only if they are raised in a humane and eco-friendly way. These flexitarians eat grass-fed beef, eggs from free-range hens, and sustainably harvested fish, and they also prefer organic produce. For most vegetarians, the short answer is simple: everything except meat. 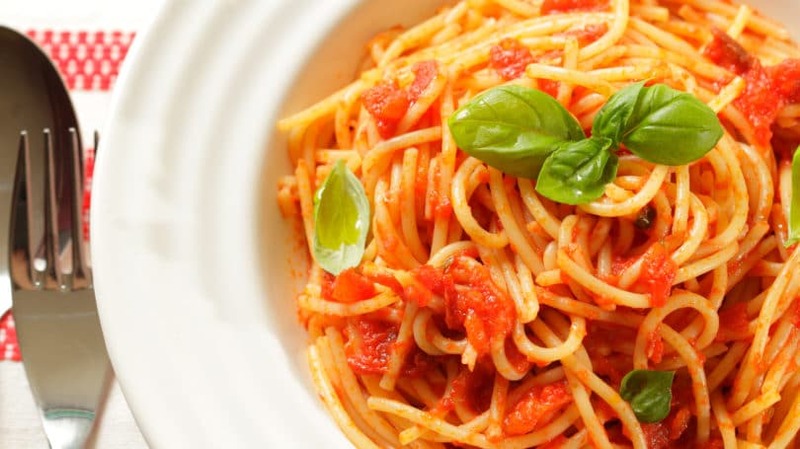 Even a vegan diet includes all kinds of fruits and vegetables, beans, nuts, seeds, and grain products, such as bread and pasta. To some meat-eaters, that list still sounds pretty restrictive, but it’s actually possible to produce an incredible variety of foods with no animal products at all. For vegetarians who eat milk and eggs, the options are even wider. Ovo-lacto vegetarians can enjoy veggie pizza, macaroni and cheese, mushroom omelets, ravioli, and quiche to name a few. In fact, so many foods are vegetarian that most people have probably eaten vegetarian meals from time to time without even realizing it. Vegetarians have many different reasons for choosing a meatless diet. Some religious faiths either require or encourage a vegetarian diet, including Jainism, Hinduism, and some branches of Buddhism. Other people avoid meat because they are concerned about animal welfare or the environmental costs of raising animals for meat. Still others adopt a vegetarian diet because they believe it’s healthier. Another benefit of a vegetarian diet is its cost. Meat is expensive, and giving it up can have a major positive impact on your grocery budget. Although few people choose to give up meat solely to save money, the cost savings are an added bonus for anyone who decides to go vegetarian. Many vegetarians give up meat because they aren’t willing to kill animals. Some vegetarians are supporters of animal rights, the belief that an animal has the same right to live as a human. They argue that killing an animal, just like killing a human, is justifiable only if it’s the only way to survive – for instance, if you’re attacked by a bear. Since humans can survive on a meatless diet, they contend, it’s wrong to kill animals for food. For other ethical vegetarians, the biggest moral problem with meat isn’t the killing of animals, but the suffering animals endure on factory farms. According to the American Society for the Prevention of Cruelty to Animals (ASPCA), over 99% of all food animals in the United States come from factory farms – giant farms that raise large numbers of animals for food. Factory farms aren’t just hard on animals – they’re hard on the environment too. Animal waste produces harmful runoff that pollutes the surrounding land and water. When they’re not properly maintained, these farms can be breeding grounds for dangerous diseases, such as E. coli and salmonella, which are passed on to humans through the food they eat. However, even meat that doesn’t come from factory farms creates environmental problems. Raising animals for meat is a particularly inefficient way to feed people. It takes far more land, water, and energy to produce a pound of meat than it does to produce a pound of grain. This means that the more meat there is in your diet, the more natural resources you use. Feeding More People. Most factory-farmed animals eat grain, which is also a useful food source for humans. A 1997 study at Cornell University found that each year in the United States, about 41 million tons of plant protein are fed to livestock to produce only 7 million tons of animal protein. If people ate that grain directly instead, it would provide enough food for 800 million people. Slowing Global Warming. In 2011, the Environmental Working Group calculated the amount of greenhouse gas emissions produced per kilogram for several common plant and animal foods. Beef produces 27 kilograms of CO2 equivalent, chicken 6.9 kilograms, and dry beans only 2 kilograms. Overall, their findings show, the less animal food you eat, the smaller your carbon footprint becomes. Saving Water. The world’s water supply is limited, and meat production uses a lot of it. A 2010 study from the UNESCO-IHE Institute for Water Education in the Netherlands shows that it takes over 15,000 kilograms of water to produce 1 kilograms of beef. This works out to 112 kilograms of water for every gram of protein in the meat. By contrast, chicken requires only 34 kilograms of water per gram of protein, and dry beans use only 19. Protecting Forests. A 2006 report from the United Nations Food and Agriculture Organization shows that one major cause of deforestation is clearing away trees to provide more land for grazing livestock. About 70% of the land cleared in the former Amazon rainforest is now being used for this purpose. The less meat we eat, the more trees we save. Fighting Antibiotic Resistance. To prevent disease, factory farms feed their animals large amounts of antibiotics. However, this just leads to a new problem, as the more antibiotics are used, the more bacteria adapt to become resistant to them. When humans are sickened by these drug-resistant bacteria, the most common antibiotics don’t work to cure them. The typical meat-based American diet isn’t ideal for health. According to a 2014 study published in the Journal of American Nutrition and Dietetics, most Americans consume too much saturated fat and not enough of other key nutrients, like fiber and certain vitamins. By contrast, a vegetarian diet tends to contain plenty of fruits, vegetables, and whole grains – just what nutrition experts say we should be eating more of. Of course, there are many different ways to be a vegetarian, and some obviously healthier than others. A diet of nothing but ice cream and potato chips is technically vegetarian, but it’s not a good way to improve your health. On the other hand, if you replace the meat in your diet with whole grains, fruits, vegetables, nuts, and soy products (such as tofu), you’re likely to get more of the nutrients your body needs and reduce your risk of disease. 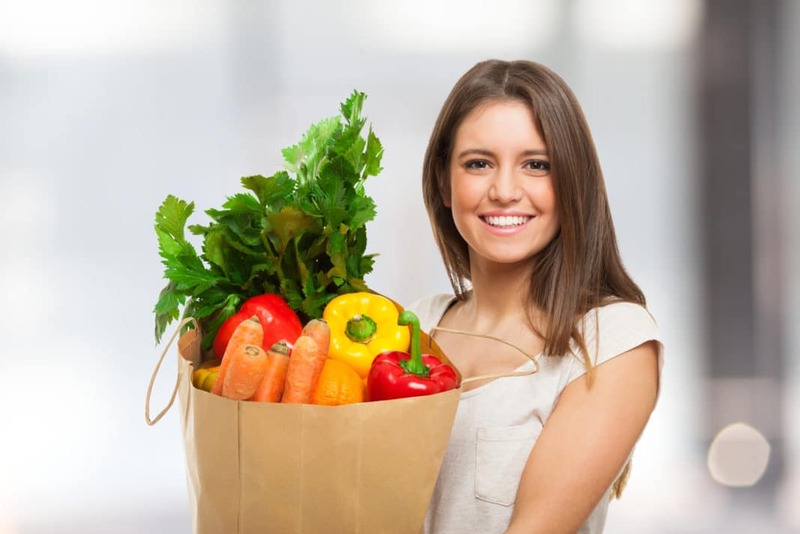 A final perk of being a vegetarian is the money you can save by skipping meat, which is one of the most expensive items in the typical shopper’s grocery cart. A food price chart from the Bureau of Labor Statistics shows that in July 2015, a pound of sirloin steak cost about $8.80, an increase of nearly a dollar from the year before. Of course, steak has always been a luxury item, but even ground beef, a staple of low-budget cooking, cost more than $4.25 per pound. By contrast, a pound of dried beans costs only $1.48 – and that one pound cooks up to produce about 2.5 pounds of cooked beans, reducing the cost per pound to $0.59. That means replacing just one pound of ground beef per week with an equal amount of cooked beans saves you about $190 a year. Replace the entire 114 pounds of red meat that the typical American eats in a year with beans, and your savings jump to more than $400. An interesting story about how much cheaper it is to eat meatless appears in the “Autobiography of Benjamin Franklin,” who experimented with a “vegetable diet” in his teens. At that time, Franklin was apprenticed to his brother, a printer, and they were both living in a boardinghouse. Franklin says his refusal to eat meat caused some “inconveniency” at the boardinghouse, so he offered to cook his own meals if his brother would give him just half the amount he was currently paying for his board. However, he soon discovered that he could get by with only half of what his brother paid him – a quarter of what his board had cost – and happily spent the rest on books. Considering all the advantages of eating vegetarian, it’s a bit surprising that more people don’t do it. If you think about it, though, for most people, the reason is probably pretty straightforward: Eating meat is what they’ve always done, and they don’t really think about it. Even for people who have actually considered trying a vegetarian diet, it’s not an easy choice. If you’re used to meat-centered meals, giving up meat means learning a new way of cooking and eating. It’s natural for people to wonder about how they’re going to get all the nutrients they need without meat, or what to do when they have to eat out. And in some cases, they have to worry about dealing with friends and relatives – including people they live with – who don’t understand their eating habits. Fortunately, there are ways to deal with all these problems. There’s a bit of a learning curve, but with just a bit of practice, you can learn to feed yourself as a vegetarian with surprisingly little hassle. Many people’s first concern about eating vegetarian is how to get enough protein without eating meat. However, the truth is that lots of foods contain protein, and getting enough of it isn’t very difficult. Other nutrients, such as iron and calcium, pose a much bigger challenge, especially for vegans. Protein. Many plant-based foods contain protein, including dry beans, grains, and nuts. However, most of them don’t have as much protein per serving as animal foods, so to get enough protein, vegetarians need to make sure they eat a variety of these protein-rich foods. Good sources of protein include beans and lentils, nuts and seeds, whole grains, and soy products such as tofu, tempeh, and packaged meat substitutes. Ovo-lacto vegetarians can also get protein from eggs and dairy products. Iron. Most iron-rich foods are animal-based, including red meat, liver, salmon, tuna, and oysters. There’s also a good amount of iron in dry beans, whole grains, dried fruits, nuts and seeds, and dark green vegetables such as broccoli and spinach, but the iron from these plant-based foods is harder for the body to absorb. Eating foods rich in vitamin C, such as citrus fruits, tomatoes, and green peppers, can help the body absorb iron from plant foods. Vegetarians can also get some iron by cooking food in cast-iron pots and pans. Calcium. Vegetarians who eat dairy products have little trouble meeting their need for calcium, since three cups a day of milk or yogurt can provide the body with all the calcium it needs. For vegans, getting enough calcium is trickier. Good sources include soy products, dark green vegetables, dry beans, almonds, peanuts, and sunflower seeds. Also, many foods are fortified with calcium, including cereals, cereal bars, and some kinds of juice and soy milk. Vitamin D. The body needs vitamin D to help it absorb and use calcium. Few foods are naturally high in vitamin D, but in the United States, dairy products – and many soy milk products – are fortified with it. Your body can also produce its own vitamin D when your skin is exposed to sunlight – for a fair-skinned person, 10 minutes a day of direct sunlight is enough. However, this can change during the winter months when less sunlight reaches the earth, especially in northern climates. During the winter it’s especially important to get plenty of vitamin D from food, or else take a supplement. Vitamin B12. Vitamin B12 is found in all animal products, including milk and eggs. This means that for ovo-lacto vegetarians, getting enough vitamin B12 isn’t generally a problem. However, it’s challenging for vegans because there are no plant foods that are naturally high in B12. To get enough of this nutrient, vegans need to supplement their diet in some way – either by taking a commercial vitamin pill or by eating B12-fortified cereals and soy milk. People who are used to traditional meat-based meals – a hunk of meat in the middle of the plate with “sides” of vegetables and starch – sometimes feel at a bit of a loss when they try to give up meat. If they just leave out the meat, the plate looks awfully bare with only the side dishes, and the meal is pretty low on protein. However, if they simply replace the meat with an equivalent volume of beans or nuts, that’s not very satisfying either. Some new vegetarians rely heavily on meat substitutes: veggie burgers, soy “crumbles” to replace ground beef, and mock chicken strips, for example. Using mock meats occasionally is no problem, but relying on them for all your protein probably isn’t a good idea. For one thing, these products are expensive, and you could end up spending just as much on them as you used to spend on meat – or possibly even more. Also, these highly processed foods often aren’t as healthy – or as tasty – as fresh, natural foods. The key to a satisfying, healthy vegetarian diet is to let go of the idea of meat plus sides. The best vegetarian meals combine protein, starch, and vegetables together in a single dish: bean burritos, pasta with veggies and cheese, curried chick peas with rice. If you already know several dishes like this, but you’re used to making them with meat, adapting them is fairly easy: You can just replace the meat with beans, or leave it out completely. However, if you’ve never cooked anything more complicated than a broiled chop and a baked potato, then a good vegetarian cookbook is a must. A great one for new vegetarians is Evelyn Raab’s “The Clueless Vegetarian: A Cookbook for the Aspiring Vegetarian.” It’s filled with easy and delicious recipes for everything from appetizers to desserts, interspersed with lots of helpful tips on specific ingredients and techniques for vegetarian cooking. Raab also labels each recipe to show whether it’s ovo, lacto, or vegan, and notes which recipes can be made in a half-hour or less. Eating out can be a challenge for vegetarians. Many restaurants just don’t offer a lot of choices that don’t include meat. Vegans face even bigger problems, since it’s often difficult to tell from the description on a menu whether a dish contains eggs or dairy. Faced with a choice between questioning the server at length or compromising their beliefs, many find it easier just to eat at home. Go Ethnic. Traditional American cuisine is often of the meat-and-sides variety. However, many international cuisines, from Chinese to Mexican, offer a wider range of dishes that either are or can be made meatless. Some examples include vegetable lo mein, veggie fajitas, pasta primavera, falafel, and veggie sushi. Indian cuisine has a particularly strong emphasis on meatless dishes, so Indian food is always a great bet for vegetarians. Look for the Vegetarian Section. Many restaurant menus have a special section with all the vegetarian offerings in one place. This saves vegetarian diners the trouble of reading all the descriptions trying to figure out which dishes are meatless. Other restaurants spread vegetarian selections throughout the menu, but mark them with a special icon, such as a leaf or a tree, so they’re easy to find. Ask the Server. If you can’t find anything meatless on the menu, try asking your server for help. Pick a specific dish, such as a chicken Caesar salad, and ask if it can be made without the meat. If you can’t find a dish that looks like it would be easy to make meatless, just ask, “Is there anything you can make that’s vegetarian?” There’s a good chance the chef is willing to whip up a plate of grilled veggies and pasta to keep a customer happy. Seek Out Vegetarian-Friendly Restaurants. If you can plan your restaurant choice ahead of time, try looking for places that cater to vegetarians. You can search for vegetarian and vegetarian-friendly restaurants in your area on VegGuide.org, HappyCow.net, and VegDining.com. If eating out by yourself as a vegetarian is tough, eating with family and friends can be absolutely nerve-wracking. It’s not unusual for meat-eaters to be confused, annoyed, or downright hostile about your decision to give up meat. Let People Know. Don’t spring your new diet on people as a surprise. If your Aunt Mary spends all day cooking her famous chicken in rhubarb sauce and you can’t eat it, she has every right to be annoyed. So if you have a family dinner coming up, let everyone know ahead of time that you’re a vegetarian now so they can plan ahead. Be Accommodating. At the same time, try not to make it sound like you’re expecting your friends or relatives to go out of their way to make special food for you. If Aunt Mary still wants to make the chicken and rhubarb, make it clear she doesn’t have to cook a separate meal for you unless she wants to. When meat is the main course, it’s usually possible to make a perfectly adequate meal out of the side dishes and dessert – especially if you make a point of eating a little extra protein at lunch. On the other hand, if Aunt Mary really wants to make a vegetarian meal but doesn’t know how, share a couple of a simple vegetarian recipes with her and offer to help with the shopping. Offer to Cook. If you can, suggest hosting the family gathering at your place so you can cook a veggie-based meal. If the dinner is at someone else’s house, offer to bring a vegetarian dish for everyone to share. 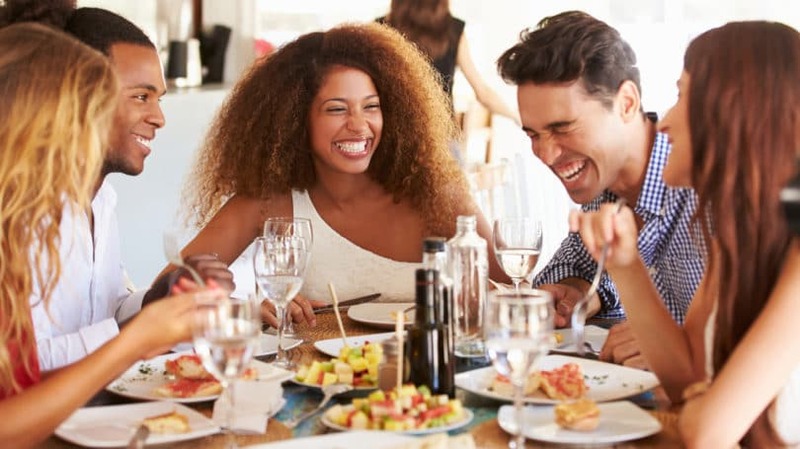 However, don’t bring your own personal vegetarian meal to an occasion where everyone else is having something different, as that sets you apart from the rest of the group and can make everybody feel awkward. Explain Your Choice Politely. When you sit down to dinner, you’re likely to be asked a few questions about why you’ve decided to give up meat. You can explain your reasons, but make sure to do it in a way that’s polite. Most of all, you want to avoid sounding like you’re criticizing everyone else at the table for continuing to eat meat. Telling your meat-eating friends what a terrible thing they’re doing by eating animals won’t change their minds. It will only annoy them and possibly get you dropped from the invitation list in the future. Be Patient. New vegetarians often have to deal with jokes about their new eating habits or silly questions like, “But what if you were starving in the woods?” Try to be patient with your friends, even if their questions seem stupid. In many cases, they just don’t know very much about vegetarianism, but the only way to change that is to help them learn. If you like the idea of going vegetarian, but you’re just not sure whether it will work for you, remember that it doesn’t have to be an all-or-nothing decision. Instead of giving up meat completely, you can just cut down on the amount you eat. By giving up meat just one night per week, you can save a bit of money, shave a little off your carbon footprint, and add some interesting variety to your diet. Once you’ve tried it, you can decide whether to reduce your meat consumption more. Cutting back on meat can be a stepping stone to a full-scale vegetarian diet, or it can be a new eating choice in itself. By eating a meat-light diet, you can still enjoy the benefits of vegetarianism on a smaller scale. 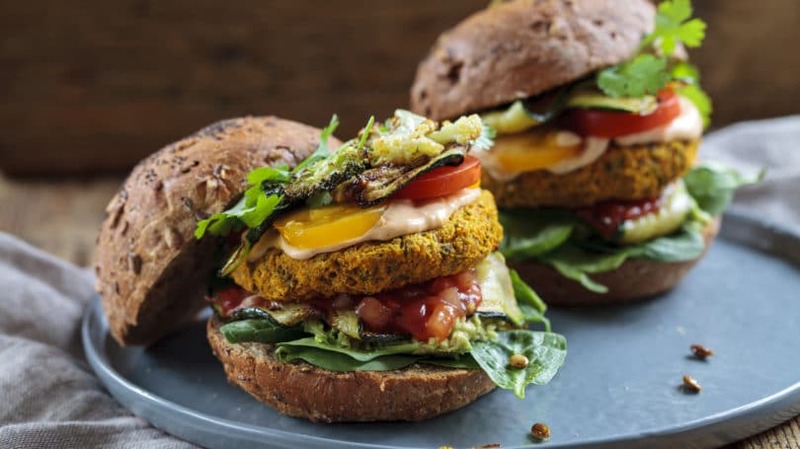 Is going vegetarian something you’d like to try? What are your favorite vegetarian or vegan dishes?